Dan and Phil’s ‘TATINOF’ is the most fun you’ve ever had (in meme hell) – arts, ink. As I debate over whether or not I want to see my favorite YouTubers Dan and Phil again on their 2018 “Interactive Introverts” tour, I reflect on my experience seeing their first tour two years ago. For those uninitiated in Internet culture, many YouTubers are going on tour to promote their books. While most fans are happy to see them in person, there’s been debate on whether this is “selling out” when a major source of their appeal to begin with is the earnest sincerity of their home-made productions. The sea of young fangirls that turned up at Detroit’s Fox Theater on May 10th, 2016, proved this isn’t the case with English YouTubers Dan Howell and Phil Lester, better known online as danisnotonfire (five million subscribers) and AmazingPhil (three million subscribers), respectively. They performed in Michigan on May 10th and 11th as part of the American leg of their “Amazing Tour is not on Fire” at packed venues. It is of note that the highest-priced VIP front-row tickets, which a meet-and-greet session and a large tote bag with merchandise and treats, sold out within hours of being available online. The tour is in promotion of their aptly-titled book “The Amazing Book is not on Fire,” which was a bestseller in the UK’s Sunday Times and topped the Young Adult Hardcover category of the New York Times bestsellers’s list for several weeks. The tour is a celebration of the duo’s vlogging careers in the same vein as the book it promotes. The show’s premise is the ever-whimsical Phil put his laptop in the microwave in the hopes of getting superpowers. Instead, all of the content from both vloggers’s channels spills out onto the stage, including props emblematic of their online personas and their devoted subscribers watching their antics in real life, sitting in the audience. This sets up a night full of banter that has become their hallmark. Audience participation makes up the majority of the spectacle. Staff from the tour search attendees waiting before the show to share their stories to be part of a live version of the regular series “Why I Was a Weird Kid” on Phil’s channel and Dan’s “Internet Support Group,” a video-medium advice column, respectively. The pair review fanart gifted to them by attendees onstage in the style of their popular “Tumblr Tag” videos. Additionally, there are moments when the two YouTubers let the audience choose what direction the show will take. There are countless references to their videos and travel vlogs, so the show is clearly geared towards their dedicated watchers. However, there are plenty of twists to keep the audience on their toes as well. The show is unusually family-friendly considering danisnotonfire’s regular content, perhaps in foresight of the disproportionate number of younger girls in attendance, yet Howell and Lester share sides of themselves that are not explored on-camera. This makes “The Amazing Tour is not on Fire” feel like a sincere opportunity for the British vloggers to become closer to their fans, physically and mentally. 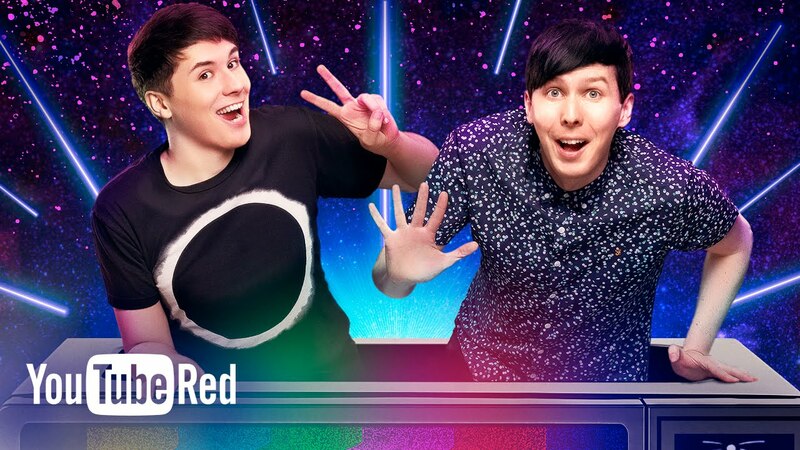 The show is a loving tribute to Dan and Phil’s achievements on the Internet throughout their ten-year careers. Everything from their modest beginnings to their gaming channel is included, with many inside jokes created by their fans referenced in-between. Success stories of YouTubers like Dan and Phil crossing media platforms signals the transformation of YouTube from video depository to entertainment platform in its own right, with tours are a natural advancement in YouTube culture. The creation of YouTube conventions in 2010 like VidCon in Los Angeles and Playlist Live in Orlando has further established a unique type of celebrity status among these individuals, evidenced by long lines of devoted subscribers waiting to meet their idols reminiscent of meet-and-greets by more traditional celebrities like singers and actors. And that’s what YouTubers are becoming. Media outlets have been tapping into YouTube to reach younger generations, from publishing houses to television channels. And theatrical cross-country tours, pioneered by Tyler Oakley and Lilly Singh (better known as iiSuperwomanii), have become the latest realm of YouTubers’ influence. It’s hard to believe that website has been able to create such a powerful form of media so quickly. The fact that London-based Dan and Phil were able to fill venues across the pond, where half of their subscriber base lives, from the comfort of their own bedrooms is testament to YouTube’s far-reaching appeal.